As the democratic crisis in Scottish universities such as Aberdeen swirls into public glare, David Kelly asks: What are universities for? Are they for academics or students? Should they focus on research or teaching? Do they exist to serve our society or the economy? Or, to put it another way – since politics is always an answer to the question of “who gets what, when and how” – who are our universities for? Scotland has 19 universities, many of which are world-class institutions. Together they educate nearly a quarter of a million students. Five are ranked among the world’s top 200 universities, according to Times Higher Education’s definitive 2017 global rankings, “more than any other country per head of population except Luxembourg”. According to the UK Office for National Statistics, Scotland is the “best educated country in Europe”. Nearly half of Scots aged 25 to 64 “have some kind of tertiary education”, whether from universities or colleges. Our national commitment to democratic education, reaffirmed in recent times by the restoration of free university tuition by the Salmond government, stretches back to the Reformation, with its thirst for the written word and the mother tongue. Our universities are Scottish institutions. They have educated Scotland’s leaders and her citizens for generations. They have developed a distinctly Scottish philosophy of the “democratic intellect”, as George Davie styled our universities’ proud tradition of a liberal, generalist education. They are temples to knowledge and testaments in stone and glass to Scottish history, from the Enlightenment to Dolly the Sheep. They have made us who we are. They are also the recipients of over a billion pounds of Scottish taxpayers’ cash every year. They depend on our government, our schools, our infrastructure, our culture, our people. We have made them what they are. But this is not quite how our universities operate, or perceive themselves, today. Scotland’s universities, particularly her “elite” or “Ancient” institutions, increasingly view themselves as set apart from, or existing beyond the boundaries of, the nation to which they belong and which has given them their identity, and been their intellectual lifeblood, for centuries. Universities Scotland, the representative and lobbying body for university Principals and Directors, defines Scottish universities as “large and increasingly complex businesses operating on a global stage”. Entirely absent from this self-definition is any notion of a pedagogic purpose, of a national identity or, indeed, of any wider civic responsibility. Thus, Scottish universities appear to believe themselves to be somehow neither Scottish nor universities, preferring to conceptualise themselves as a kind of global corporation. However, as the Jimmy Reid Foundation argued in its 2013 paper on The Democratic University, although “university managers might wish it otherwise, universities are large national civic institutions with a primary responsibility to their own community of academics and learners. The vast majority of university business is domestic, not international”. This trend has been more severe in England, where marketisation has progressed further and the highest tuition fees in the world have been so destructive. But Scotland, despite the legislative firewall of devolution, has not been immune. As the “higher education sector” has expanded across the UK over the past three or more decades, its institutions have rapidly denationalised and commercialised. Universities have adopted the language and logic of the market, hiring small armies of marketers and consultants from the private sector to talk of students as “consumers” and of educators as “service-providers”. Scottish universities are increasingly governed by a detached, professional managerial class with corporate backgrounds to the anti-democratic exclusion of academics and students. Principals’ pay has ballooned to an average annual salary of £277,834 – Strathclyde University’s Jim McDonald earns over £360,000; Aberdeen’s Ian Diamond £352,000; Glasgow’s Anton Muscatelli £322,000. Nicola Sturgeon is on a mere £144,687. Only a decade ago, three-quarters of students at Scottish universities were “Scottish” – that is, they completed their secondary education here, regardless of their place of birth. Now it is only two-thirds. According to admissions body UCAS, applicants from England are now 15% more likely to receive an offer from a Scottish university than applicants from Scotland. Between 2010 and 2015, applications from Scottish students increased by 23%, but offers to Scottish students only increased by 9%, leading to a 7% decline in the offer rate. Conversely, the offer rate to non-Scottish students increased by 11% over the same period. Non-Scottish students are concentrated at our elite, and most wealthy, universities. At the Ancients our highest internationally-ranked institutions – Aberdeen, Dundee, Edinburgh, Glasgow, St Andrews – just 48% of students are Scottish. Conversely, at the non-Ancient institutions – which are usually lower-ranked and, therefore, deliver poorer employment and earnings prospects for graduates – the proportion varies from 66% to 91%. But this is no accident – or secret. It is, in fact, a deliberate result of stated policy. In 2015, Sir Timothy O’Shea, the Principal of Scotland’s top university, the University of Edinburgh, said their “long-term aspiration” was to increase the proportion of foreign students to 50%. With O’Shea stepping down imminently, the current non-UK proportion stands at 41%. With less than a third of Edinburgh students being Scottish, this means over 66% of the university is non-Scottish. This is quite exceptional by international standards. Only 19% of Oxford undergraduates are from outside the UK (or 40% of all students when postgraduates are included). Similarly, the proportion of foreign students at, for example, Cambridge, Harvard and across Canada is 11%, 12% and 11% respectively. These are hardly homogenous or parochial institutions. Of the world’s major institutions, only Sciences Po appears to be in the same ballpark, with a student body that is still has a French majority, although 45% are non-French. Scottish universities have inevitably been accused of prioritising non-Scottish students to increase revenue and of treating foreign students as “cash cows”. The number of Scottish and non-UK EU students, who do not directly pay any tuition fees, is capped by the Scottish Government and Scottish Funding Council based on annual budgets and national workforce needs. The Scottish Government pays only £1,820 per year for each Scottish and EU student to their institution. English, Welsh and Northern Irish students pay up to £9,250 per year. (At an Ancient like Edinburgh, this is the cost of every degree from Animation to Zoology.) Fees for overseas non-EU students, and the number of places available to them, are unlimited by legislation. The average cost for such students in Scotland is £17,000 a year, but can be up to £50,000, unavoidably meaning that non-Scottish students are much more likely to be wealthy and privileged. Simply put, Scottish students are a much less attractive commercial proposition for university Principals and Vice-Chancellors. An English student is over five times more financially rewarding than a Scottish student – and an American student over ten times more. The 4% fall in direct Scottish Government financial support for universities in real terms since 2010, thanks to Westminster cuts (of at least 5% according the the Fraser of Allander Institute), has further fuelled this trend. Universities spend millions on attracting affluent overseas students, while paying lip-service to increasing access for Scots from deprived backgrounds. The website of Edinburgh Global – the university’s international arm seeking to attract overseas investors, donors and students – is slick, entirely up-to-date and boasts of the university’s year-round presence in “Beijing, Mumbai, Singapore, Santiago & New York”. Conversely, the most recent events listed on the part of their website which purports to give a “summary of all of our Widening Participation activities throughout the year” are from 2014. If Edinburgh committed as much resources to Leith or Niddrie as they do to London or New York, one wonders if their student body might begin to look, and sound, rather different. Foreign students are great assets to our universities and to our country. Our universities are diverse and exciting places, where academics and students from across the world come together to learn with, and from, each other. The myopia of the UK’s impending exit from the European Union puts all this, and the ground-breaking research at Scottish universities which is dependent on EU grants, in peril. Nevertheless, Scotland’s Ancient universities must not become mere playgrounds for the privileged offspring of a global elite. The Scottish Government must act to ensure that universities are adequately funded by taxpayers – and democratically governed by academics and students. Our universities must do much more to widen access to talented Scots from our most deprived communities – because diversity is as much about class as it is about nationality. And they must, as Scottish institutions, learn again to serve the common weal. The answer might be to reinvent them as city institutions, rather than national. Community centres. 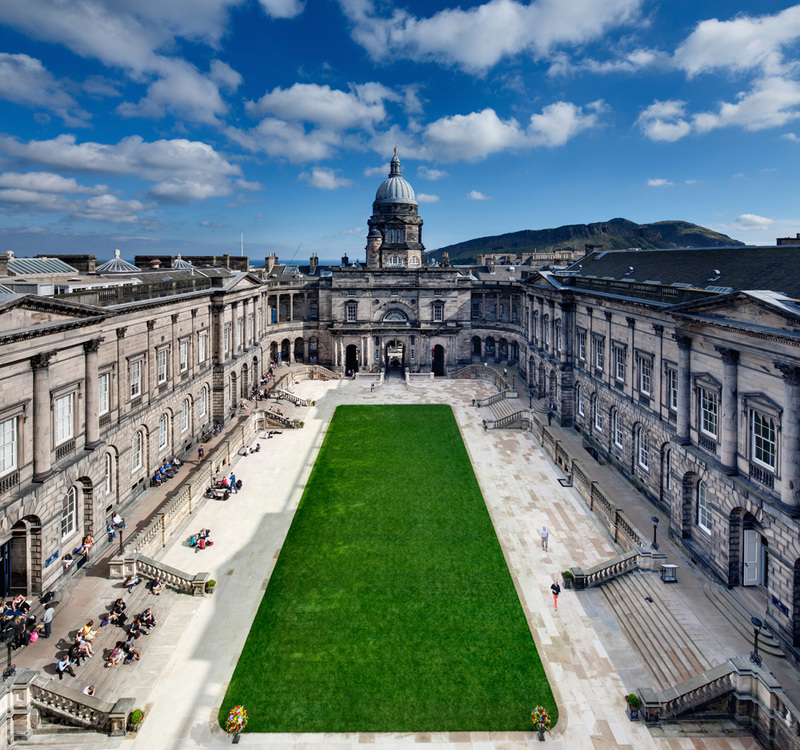 Ironically, the University of Edinburgh began life in the 16th century as the “Town College”. Universities already get enough taxpayers money. In their unseemly haste to try to politicise Further Education establishments this SNP Administration have totally failed to control what goes on in them and you only have to look at the mess with the FE Colleges to see how bad things are. Chancellors and Principals getting salaries that beggar belief and massive awards made to people retiring from posts which were rubber stamped by SNP cronies. Hardly a good argument for giving them anymore taxpayers hard earned cash. Not quite sure what you mean when you say that universities get enough taxpayers money already. Such a comment reflects a narrow partisan political viewpoint that disregards entirely the reality that an educated populace Funds its education in much wider ways than I suspect you refer to the taxpayer. Consider Bangladesh, or the Yemen, or Niger and these countries educational capital and their taxpayers ability to fund university education. Indeed consider their ability to fund high quality universal school education. Unless or until these countries get their intellectual capacity up, and their economic development up in all it societal shapes and forms, their taxpayers will, like yours, always be paying too much. As someone once said, if low wages were the recipe for economic success then Bangladesh and Yemen would be economic superpower. So yes Jamesie you come from a certain strand of thinking that understands development very well. Restricting education to only those who can afford it, and yes there are some in Yemen or Bangladesh who can afford to send a habfull of their country abroad, is a great idea Jamesie. Apart from the fact that I support Scotland being part of the UK you don’t know anything about my political viewpoint except perhaps to say that you can guess I am not and SNP voter. Education is another bug bear of mine in respect of their policies – in short the are all devoid of substance. Take for example the their policy to have 20% of students entering university to be from Scotlands 20% most deprived households by 2030. Do you think that is a reasonable time scale? Or like me do you see that it just another target which will not be met? The taxpayer currently funds each Scottish and EU student in Scottish Universities to the tune of £6999 per year. Free tuition fees does not discriminate between those who can afford it and those who can’t. Surely it would be better to charge students a reasonable level of fees on the basis that they will benefit throughout their working life following achievement of a degree. The funding provided would reduce the government subsidy and free it up to be used in more meaningful places e.g. giving pensioners and people in real poverty a liveable existence. The SNP are not naturally left wing they are merely occupying the space for the time being but some of their policies whilst being dressed up to benefit the poorer amongst are actually simply political gestures which benefit people who don’t really need them. The tartan tories have not really changed their attitude. Free prescriptions falls into this category as well. See below a couple of links which may educate you. In the meantime take your partisan SNP outlook and tell me why a child living in Newton Mearns with parents earning £250k a year between them deserves free university fees which is exactly the same as someone from Easterhouse with parents earning £25k a year. Tell me why pensioners are freezing when we are paying for EU students to come to Scotland to be educated for free when most who come can more than afford the tuition fees. The author himself confirms, in his final paragraphs, the reason for the situation he laments. Fees for Scottish and non-UK EU students are paid for by the Scottish Government, capped at a relatively low level and capped in terms of absolute numbers. Even if institutions want more Scottish students, they cannot take them. Other core funding is being reduced in real terms. Yet the costs of running institutions continually goes up – staff costs continually increase (Baumol’s ‘cost disease’), and the funds required to maintain and renew campuses and infrastructure are needed. Given current legislation and policies, one of the only ways for HEIs to generate the required funds is to increase the number of rest-of-UK and non-EU overseas students. The attraction of selling our education to the world is not to be sneezed at. If the world wants to pay to benefit from attending our universities that is no bad thing. If our indigenous students are being disadvantaged, and the piece seems to say that they are, that is another story. I’m not so sure. We are all different and many of our young people are not really clever enough to benefit from the toughest courses on offer. Of course the best Scots should be at the front of the queue but we all roll our eyes when talk turns to the quality of some degrees awarded. There is a balance to be struck. Yes, increase the number of places available and fund at least part of it by educating foreign students; ensure that all of the best of our young people have access to courses that suit their capabilities and give some weighting to those from a disadvantaged background. In my view that is what the Scottish government is trying to do. Whether they are being successful is open to debate. The greed of those at the top of the tree in academia and in business is indefensible but that is a world problem and another story. In an independent Scotland that may be something that can be addressed or it may really be all too difficult. We shall see once we are faced with that challenge. This is a very interesting and important analysis and commentary on the increasingly dire de-Scotification of our once great Scottish universities – as they are increasingly turned over to spivs and mafiosi in the service of mammon. Much of this, sadly, accelerating during devolution, and even more so, during the period of SNP government. What the truly awful statistics presented above suggest is that death has now occurred and rigor mortis has already set-in to Institutions we relied upon as living repositories and transmitters of our national culture and values. Our ancient Universities are in no meaningful sense any longer ‘Scottish’. The natives will need to be content with the lesser newcomers to furnish them with training qualifications that make them malleable, efficient and disposable wage-slaves. This is a consequence of the fact that, despite its title and avowed purpose, the Scottish National Party neither knows nor anything about the vital role of universities in our national story, and their role as the indispensable drivers of national deliverance – not to mention the true purpose of education in creating thoughtful, moral and informed citizens equipped to challenge their ‘betters’. Despite its rhetoric, the SNP is just as neoliberal as New labour in its approach to Higher Education – possible more so. Nor can we now assume that the SNP is even in favour of National Independence – for as Prof Alf Baird has pointed out – the Scottish Parliament along with the SNP contingent to Westminster already has the right to state de facto what already exists de jure. In this context, the surrender of our universities is comprehensible – and indeed utterly necessary. David Kelly has done us a great service. Interesting article especially the points about the number of foreign students. Foreign students are very much a mixed blessing. They most certainly bring in big fees and that supports and cross subsidises the tuition of non foreign student, such foreign students also have to live whilst at University and so they boost the economy by simply renting accommodation, and having to live and eat in their chosen city of education. The proliferation of thousands of new flatted accommodation in the West End of Glasgow and the flourishing of a restaurant and cafe environment in Finniston is a further example of the economic stimulus. So the comments about the level of foreign students can be difficult to understand. At its most brutal level there is, especially in England, the notion that these students are nothing more than filthy immigrants coming here to steal off us. The Brexit arguement is very much of this vein and it applies to workers to. Clearly these people want all of the skilled doctors, medics, engineets, scientists academics and the more mundane but essential to be sent home. And of course they can be, we don’t need them to deliver our health care, develop our leading edge endeavours. The lumpen Brit mentality understands its absolute superiority all to well. But back to foreign students. Why do they need to come here, spend their dirty money here, steal our education when they can go elsewhere where they are not resented. Places like Doha or Dubai have been spending their money developing new campuses, new university cities for foreign students to attend. Asian students for example don’t have to come here, and already I hear that the numbers of foreign students are dropping off. So where does that leave us both in terms of the Brexit debate and the comment more locally about the percentage of foreign students. I think encouraging foreign students here is a great thing and it will certainly be a bad thing if we don’t. Expanding education is what it’s all about, for Scots as well as others, but at the end of the day, for some, many will be quite happy with a minimum wage, zero hours contract, delivering the very worthwhile benefit of serving a burger and coke in the local McDonalds or KFC. I just wish there was the same hunger for education in parts of Scotland as there are in other countries. A school in every Parish was the cry from a theologian in Scotland many years ago, and whilst the universal school concept may have come with strings, the net result was world changing for Scotland. Of course we have had to make it a legal requirement for all in Scotland to attend school to receive a primary and now a secondary education. Brexit may see EU students having to pay fees to study at Scottish universities. At present they study for free at Scottish universities. St Andrews has for a very long time chosen inferior students from USA over more able Scottish students. It’s true that ability to pay determines entry to Scottish universities ability to pay the university that is ,more able Scottish students are discriminated against thus ensuring a steady income for the universities from less able foreign students some of whom cannot speak English language when they commence their course at a Scottish university ? How does that work ? It is true also that academics employed in Scottish universities , teaching hospitals etc often bring their husbands / wives who are mysteriously given top paying jobs in said universities and teaching hospitals even though they cannot speak English and don’t turn up for work for days on end, it’s often believed that they have popped back home to Russia or India etc on work time ! This all happens right now in our universities and teaching hospitals . I would particularly like to see universities (and affluent students) in our rich countries subsidise such learning for others abroad who could not afford it otherwise. Providing the educational underpinning for the great social and environmental discussions should also be a function of civic-minded higher education institutes in a democracy. I am unsure of how much this is happening, but the University of Edinburgh did run a free online course on the Scottish Independence referendum. Also, does the article concentrate on proportion over domestic capacity? In other words, are Scottish universities providing excess capacity and filling this with external students? I don’t think this is clear from the numbers given. Figures for Scotland may not usually be available in international comparisons. Scottish student numbers are set by the Scottish government. Universities have very little control over this. Much else said here that is sensible, but you’ve got the wrong end of the stick about motivations for changing students demographics. behind the funding of research in Scotland’, 5 Sept 2013 http://www.scottishreview.net/AlfBaird112.shtml); so much for academic freedom. Let’s cut to the chase. Scotland’s universities today are for the most part led and managed mostly by academics coming from outside Scotland. As David Kelly notes, the focus of elite universities is on attracting higher fee students coming from outside Scotland, with less than a third of their undergraduates being Scots – and even of that, there is rather a focus on private schools. At postgraduate level in elite universities, Scots account for less than 10% of intake, less at PhD level. The latter is very important because our future academics must generally have a postgraduate doctoral degree, especially at senior and professorial levels. As we are seeing very few Scots undertaking doctoral work, this means Scots will continue to account for an ever reducing minority of our academic community in Scotland, as is the case today. What I found, back in 2013, was that at some elite universities there were many departments and institutes which had very few Scottish academics working in them. From my own experience I could see the process. A senior academic from outside Scotland was appointed to a department or institute. Soon afterwards, other new appointments arrived, often known to the senior academic who had previously been appointed, and often his/her former colleagues at their previous institution. Research posts are filled, often by researchers who were undertaking research and/or PhD work under the senior academics appointed. Soon there is a cluster of people in that dept/inst at the Scottish university, they mostly all know each other, and indeed many were former colleagues at their previous institution elsewhere, or research collaborators. Hence, we soon see departments and institutes developing without any focus or need to consider (far less nurture) the indigenous population of the university’s host nation. If new research staff are required, doctoral or postdoc, ‘the right’ people elsewhere are given a nod and a wink, and the interview panel, which invariably by now has few if any senior Scottish personnel on it, does the rest. And the research focus? Well, by now there is a team of staff, few if any Scots among them, who will tend to know relatively little about Scotland, or of the Scots, or our needs. It should not therefore be surprising that the research focus theses academics decide to indulge in may not be on anything specific to Scotland, such as improving our economy, or its competitiveness. And in any international collaborative projects, our project partners from the other great European university cities will quietly whisper, over a wee dram in a high street hostelry: “don’t you have any Scottish academics any more”? And the answer should be: “gey few an thair aw deid”. What to do? Clearly the Cabinet Secretary, assuming he has an interest in the academic advancement of Scotland and its people, needs to get a grip of the situation. For my own part I am impressed that the University of the Highlands & Islands (UHI) is able to function and deliver degrees over a very large dispersed geographic area and technology now allows us to do that well. So I have no qualms at proposing Scotland could do well to establish a single National University, as many similar sized nations have done. The elite universities could perhaps be pushed into the international private sector, which is more or less where they are now already, though they need to first pay a reasonable price (to the state) in return for their assets and arts treasures (which they will probably try to hide, or sell). A single National University of Scotland (crated by merging of uni’s not privatised) could aim to primarily educate Scottish students at under and postgrad levels (jings, thairs a thocht! ), and on nurturing Scottish academics, and undertaking Scotland focused research (including international collaboration). Such a strategy would save enormous sums through avoiding the present costly duplication of faculties, and course programmes, and property assets, as well as the very large and expensive senior management groups employed to administer the current 19 institutions. In my view this necessary ‘centralisation’, as well as saving significantly on costs, would also finally get rid of the ridiculous snobbery and elitism associated with some Scottish universities, at the same time opening the doors to every Scot who wishes to take a university course. I appreciate this proposal may sound radical to some, and/or a bit like the Police Scotland strategy, but Scotland’s universities are simply not delivering for Scots or for Scotland, they have not delivered much for decades (reflecting the worsening state of our economy and society), and something really needs to be done about that. Interesting but neglects the fact that Universities and their staff are judged on their research performance, not their teaching. Students often seem to be an unfortunate impediment to the smooth running of the institution. This is an even more worrying trend. Foreign student recruitment might have reached its peak with Glasgow Caledonian’s adventure in New York, but Brexit could also be a factor. Post-Brexit there will be no obligation to pay for EU students, and you could imagine the Scottish Government dropping that. But as to making economic growth the priority, that is already made clear. The Scottish Funding Council is folded into the Enterprise and Skills Strategic Board which is intended to align the various enterprise agencies, including the universities, to develop the economy. As the article states, as I repeated above, and Sara Dorman has also pointed out, the numbers of Scottish students (undergraduate) are set by the Scottish Government, and are absolute. The universities cannot take more Scottish undergrads unless the Scottish Government allows them to, by making more funded places available. The Scottish Government *is* pushing HE to make more of an effort to attract more students from the most underprivileged parts of Scotland (‘widening participation’ in Scottish Funding Council speak), and are likely to increase targets further (25%), but prospective students need to be ready for that level of education, and that preparation has to start much earlier, before they reach tertiary education – it is not enough for a young person simply to be smart, and it is simplistic to merely blame the universities. The Government is interested in measures to improve ‘wp’, including contextualised admissions (taking into account people’s relative circumstances when assessing applications), more flexibility about transferring into HE from FE and elsewhere (straight into year 2 or 3, for e.g. ), and more concentrated, shorter degrees, which would cost less for those who struggle to support themselves. This is all happening now. Plus, as several people have pointed out already, overseas students (and even – gasp – those from rUK) bring other cultural and economic benefits, and so it is about getting the balance right. Scottish universities staffed only by Scots, teaching only Scots, and researching only things relating to Scotland sounds narrow-minded and parochial to me. The young Scots our universities are educating will enter an intensely globalised world, and it does them no harm to have mixed with, learned from and built networks with our international guests. Perhaps “it is about getting the balance right”, however ‘balance’ can inevitably mean different things to different people. To some among the established order ‘balance’ could be code for what appears to be the virtual ethnic cleansing of Scottish academics from our nation’s universities? I don’t wish to appear parochial, but that would not seem a very ‘balanced’ outcome in my view. Nobody is suggesting “Scottish universities staffed only by Scots, teaching only Scots, and researching only things relating to Scotland” – and it is misleading to say that. I am merely arguing that Scots should be treated with respect in thair ain laund, that they should not be exploited, ignored, excluded, marginalised, discriminated against, or dominated by any incoming elite now controlling Scotland’s universities, as is currently the case, and which has been the case for a considerable period of time. I would not normally respond to someone hiding behind an alias on an issue like this – whatever happened to open discourse in the academy? Well, actually, we know that fear rules the gulag, and the indefensible is best stated from behind the curtains. Well, that just tells us the limits of devolution in relation to higher education, and the consequences of marketisation were ‘money follows the student’ – the bums on seats funding model. A free Scotland would be free to fund its universities by direct subvention at any level it saw fit. Scottish universities ‘need’ foreign students – including rUK to finance both their legitimate activities, and the grandiose projects of their demented, kleptocratic ‘leaders’. But there is method in the madness, and nothing happens by accident. The overall aim of the neoliberal project is to occupy and control all spheres of civic life – it is totalitarian to its core. In the Scottish context, it is simply a continuation of an older imperial project – the occupation of the land and the elimination of all native language and culture. Hence the occupation of all cultural leadership roles by outsiders, the denigration of Scots and Gaelic, and the university clearances. The neoliberal project is simply the latest stage on the occupation of Scotland and the diminution and ultimate elimination of its national, cultural and spiritual identity. We are an occupied land, and our liberation will only begin, if at all, by an understanding of that fact. An enlightened, if somewhat dire synopsis, John; clearly some radical thought and action is needed to remedy this ongoing tragedy. Though he might kindly inform us otherwise, I rather suspect Prof Griff may be found close to, or even amongst the 120 or so academics listed here (http://www.pol.ed.ac.uk/people), within which group I am delighted to report there are at least a token handful of Scottish academics; 5%-6% seems par for the course. Given that politics and international relations is so high up the agenda here in Scotland, it does seem rather shocking that there are so very few Scottish academics working in this area within the largest university in Scotland. Not that, as you imply, our Cabinet Secretary for Education would notice “the university clearances” still occurring under his watch. Very grateful Alf, not least for the link – but also for your kind words. We should have lunch some time? All the best for Christmas and a guid new year! Society was still seen as determinedly hierarchical, with the place of women and others groups fixed on lower rungs. Let’s hope we have moved on from that era, even as we acknowledge its place in the ladder of progression of ideas and society. Rob, this may seem rather optimistic given the ongoing decline in the number of Scottish academics especially at the auld uni’s; if a nation’s universities aye refuse to lift up thair ain fowk they will hardly be likely to progress ideas or (our) society. As someone who, in the city of his birth had the U of E door slammed shut in his face, I can certainly well appreciate this ideal. Moreover, I was taken aback by recent U of E international marketing aimed at what it termed attracting students with ‘bright minds’, rather implying by their necessary exclusion that Scotland’s fowk didnae hae ony bricht mynds? As for “Let’s hope it happens soon”? A hae ma doots, unless we see some sensible reforms coming out of Holyrood – although todays news on extending visa periods for international postgrad students probably means in reality less postgrad places available at elite Scottish uni’s for Scottish students, implying that MSP’s have not really considered the wider/indirect implications of this.